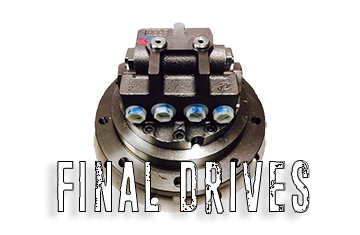 Ameritrax has Final Drives (e.g., Planetary Hydraulic Motors, Travel Motors) for mini excavators, compact track loaders, asphalt pavers and more, by Bobcat, John Deere, Kubota, Takeuchi and many others. Final Drives by Ameritrax range in price, from $1495 USD delivered, so call for availability. Our Planetary Hydraulic Motors, or Final Drives, are available in both new units protected by a Two Year Warranty, and Remanufactured units with a One Year Warranty.